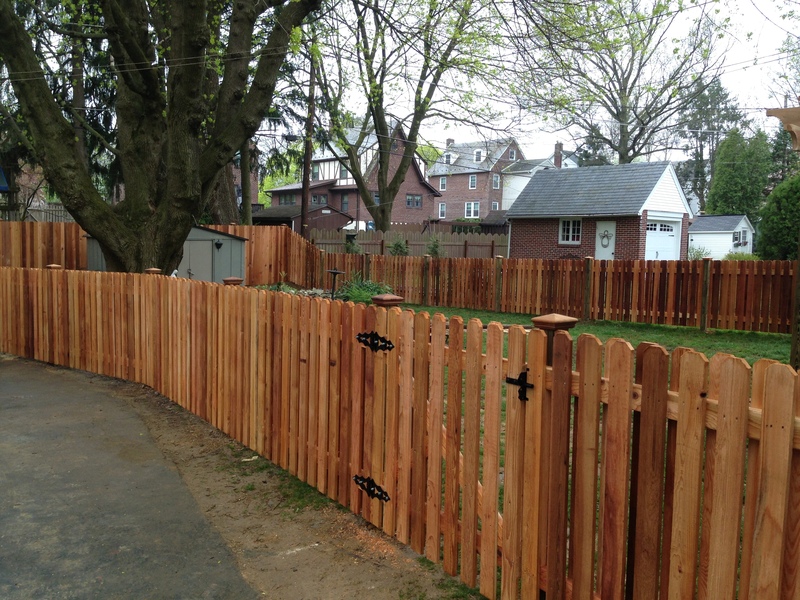 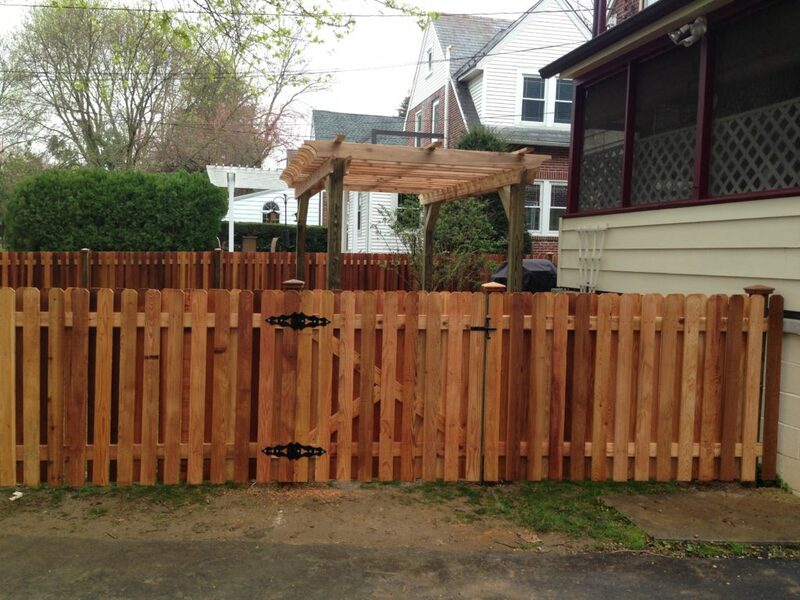 Cedar shadowbox fence around yard meets a 6’h cedar privacy fence across back of yard. 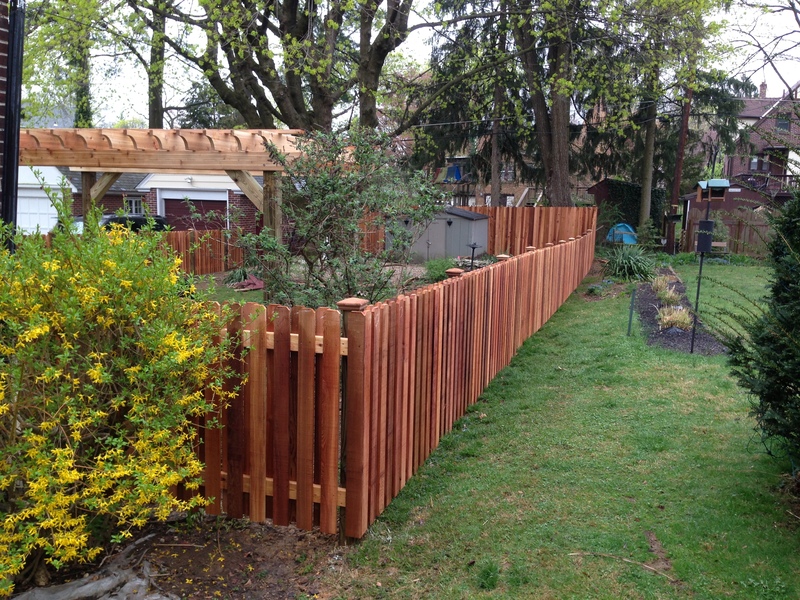 Cedar shadowbox fence sections measure 4’h x 8’w and use 1”x 6”cedar pickets, cedar 2”x 4” backers, stainless nails, pressure treated posts and cedar caps. 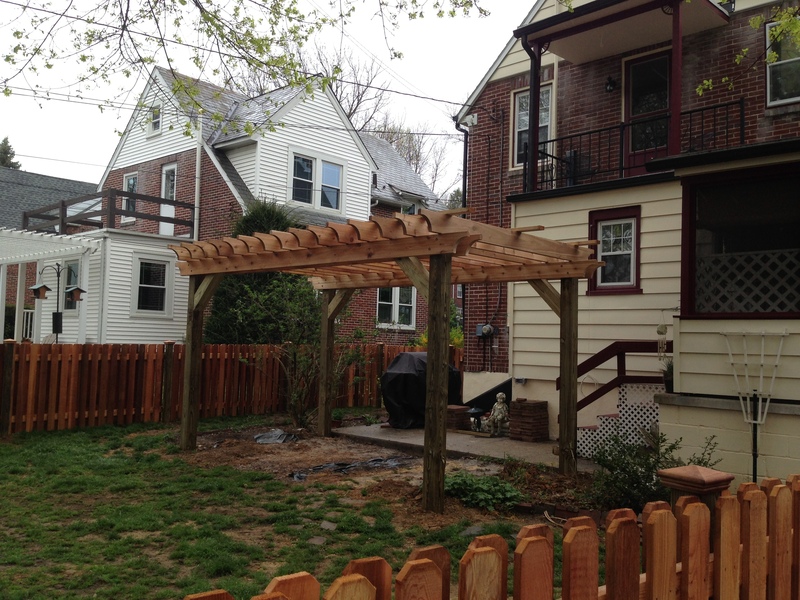 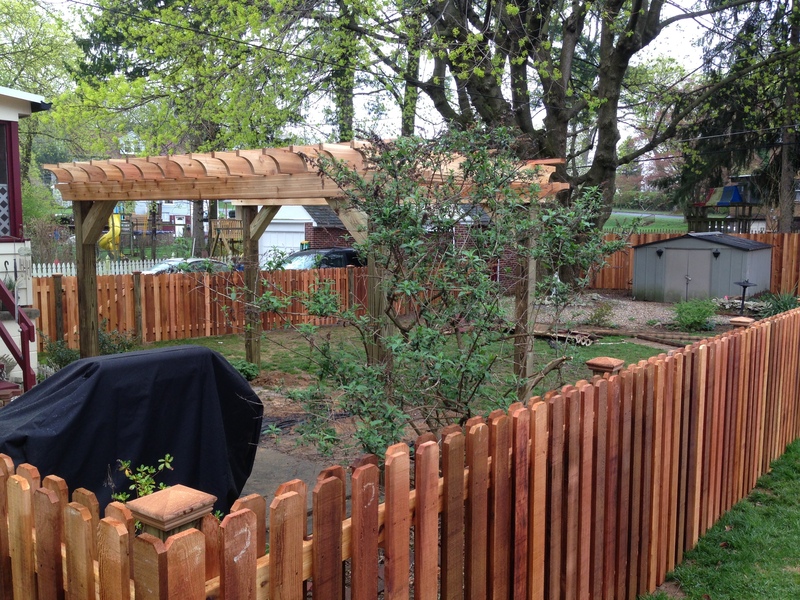 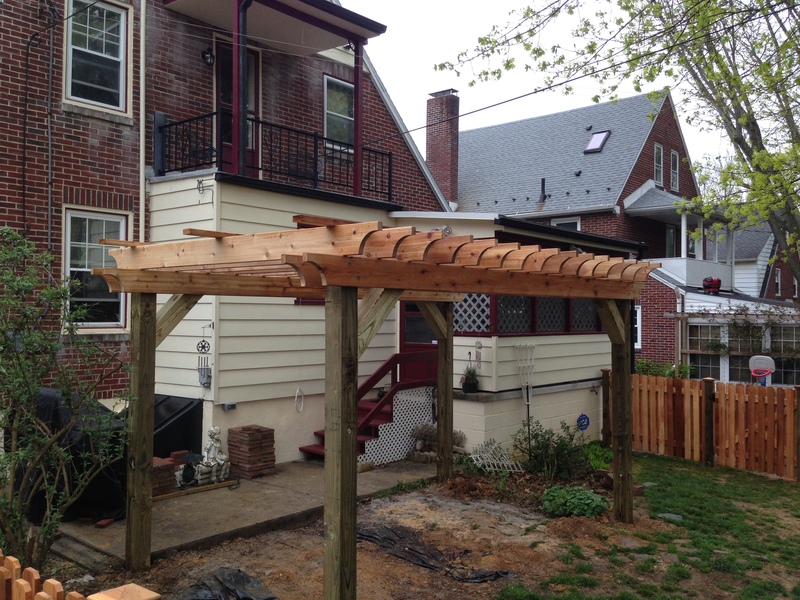 Cedar pergola was constructed on-site using pressure treated 6”x 6” posts and cedar boards on top. 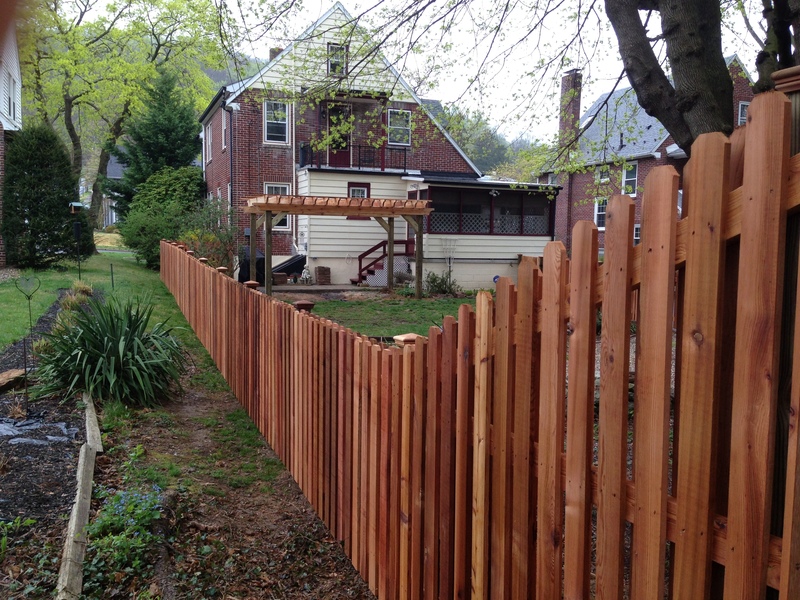 Both fence and pergola were treated with a clear coat of water sealant upon completion(recommended).